What is the meaning of life? Because it is so stereotypically philosophic, the question prompts an image of bespectacled men in suits squabbling in their armchairs by a fireplace. But the answer is literally a matter of life or death in everyday existence. On both a material and a moral level, the abortion debate cuts to the beating heart of this question. 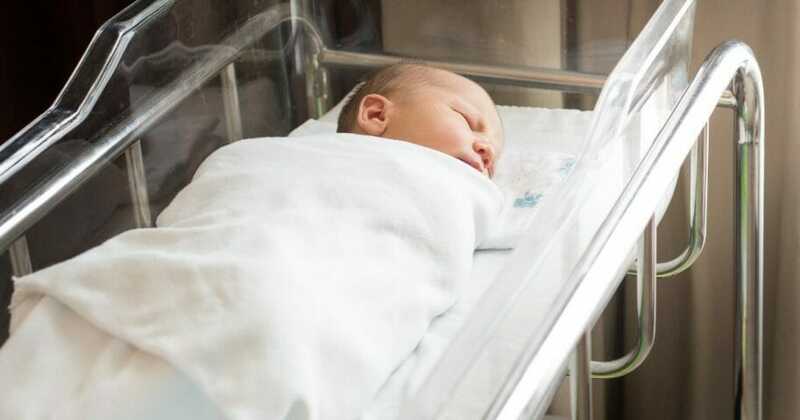 The Virginia Democrats supporting this bill explicitly want to legalize late-term abortions whenever having the baby could be construed as causing a negative health effect. The removal of the limiting qualifiers “substantially and irredeemably” permits abortionists to interpret health in the broadest terms, including financial, emotional and mental health. Heck, pregnancy usually is not a state of unmitigated bliss, so the pain inherent in the process could provide sufficient excuse for practically any abortion. We must expose abortion as the cancer that callouses the heart and leads to an apathetic culture. Behind all the euphemisms and technicalities about when human life actually begins lurks a darker nihilism in the left’s rudderless worldview. Abortion advocates start with the dehumanizing language that marks all the systemic evils of the last few centuries, from the Holocaust to slavery to communism. The first line of defense is the blatant denial that an unborn child is a human being. The dismissive phrase characterizing the unborn as “a clump of cells” is merely an attempt to veto human dignity with connotation, which falls apart when considering the denotation. Given that a clump is “a compact mass” and “cells are the basic unit of life,” a clump of developing human cells can, in fact, be a human organism. The argument from inhumanity rejects the biological evidence that a new human being is created when sperm and egg meet. The American College of Pediatricians asserts that “the predominance of human biological research confirms human life begins at conception.” At this point, genetically new material is created, representing the genesis of a new person. This DNA is the blueprint with which the embryo will continue to develop as a living human. In fact, if personhood is defined by the incremental development of the brain, then why stop in the womb? The infant brain is not capable of basic reasoning skills, much less advanced calculus. Are the lives of infants more disposable than those of adults with their fully-formed craniums? According to the University of Rochester Medical Center in the article “Understanding the Teen Brain,” for instance, “In teen’s brains, the connections between the emotional part of the brain and the decision-making center are still developing — and not necessarily at the same rate.” If the principle is that the mentally privileged deserve life more than humans with underdeveloped brains, I see little distinction between plunging a knife into a baby’s heart and decapitating a fetus with a scalpel. Perhaps the most incessant line is the insidious “My body, my choice.” That sentence contains both a flat-out falsehood and a terrible truth. It is false that the separate organism of a human fetus is the woman’s body. Scientifically, it makes no sense that a life that can feel pain separately, has a separate heart, and has distinct DNA and blood type is merely an extension of the woman. The only meaningful difference between a fetus within the womb and one in a hospital bed is location and, possibly, physical dependence on the mother’s body. In no other arena of life would it be justified to kill a person because of his physical dependence. A baby constantly needs care and attention or it will die, but the parent’s responsibility to nurture their babies does not justify murder. The truth is that abortion is the mother’s choice, just as murder is a criminal’s choice. The truth is that the mother has the legal and physical power to quench the life of a vulnerable, voiceless child. But might does not in fact make right, and no Olympian of logical gymnastics can bend that reality. Social Darwinism was a warning, not an aspirational ideology. Finally, after the bloody reality of the mass exterminations comes into focus, the debate pivots to the philosophical root: What if the child will lead a life of misery? Wouldn’t it be better to prevent all that suffering before the child is born? To which I respond: unequivocally NO. I will not snuff out a human being’s life because I, in my divine pretense, esteemed them unworthy of the challenge. The pro-life attitude extends far deeper than the issue of abortion, permeating every moment of existence with the warmth and light of purpose. At a fundamental level, the pro-life attitude asserts that there is a meaning in existence beyond mere pain and pleasure, which is worth the suffering inherent in life. We believe life is oriented toward a goal, a yearning, higher than personal satisfaction; we believe that each moment of life is precious because it is a moment we can move closer to God. It is a moment we can seal our love for family and friends in laughter as well as in tears. We know that the hedonic calculation may tally more suffering than pleasure, but true joy is a product of how we confront the suffering with strength and nobility. Nonetheless, suffering is hard, and soaring rhetoric recedes into the background as pain tries to swallow you up. At certain poignant moments, I have questioned whether extinction would not be merciful? When my teeth were throbbing from an unbearable abscess, when I realized I was terribly alone with no one to turn to, I sometimes wanted nothing more than for the void to embrace my consciousness. But then, feeling dampened, extinguished, a spark of hope would reappear as a poetic refrain to my question “why?” It might come in the words of Shakespeare or the inflection in a father’s caring voice or the sun rays on a dusky horizon. Maybe as we value the totality of our lives, if we can find beauty in the suffering, we will appreciate what those silent corpses are missing. Maybe we will see the horror of snuffing out life at its prologue, of “protecting” them from abuse and poverty and discouragement and love and duty and breath. Jared Honda is a senior at Early College High School and a valedictorian scholar.